Get on Board w/ our New APP ONLY Program! 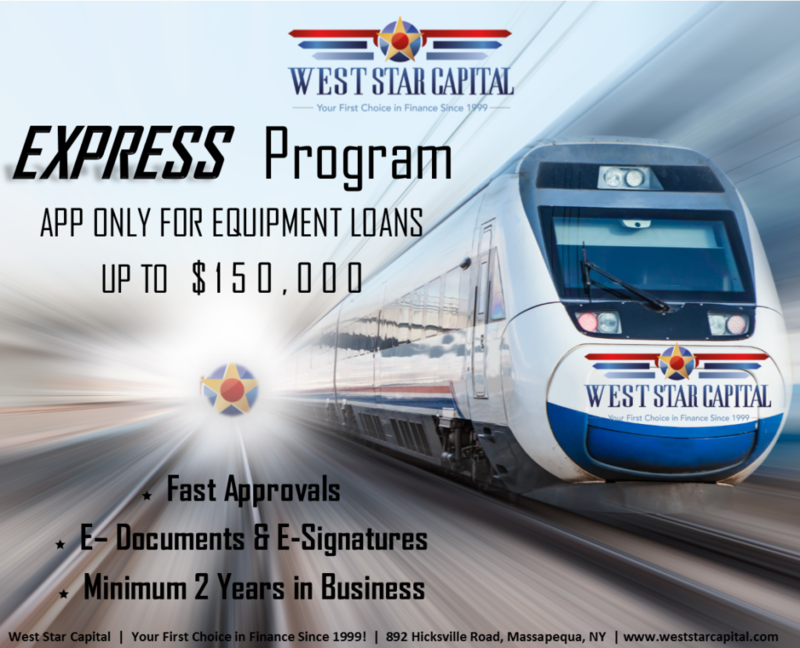 We are excited to announce that we now offer an EXPRESS PROGRAM: APP ONLY for Equipment Loans up to $150,000!! Please feel free to reach out to me via e-mail lauren@weststarcapital.com or by phone at 516.799.9191 for more information! We are excited to announce that this is West Star Capital’s 20th year in business! 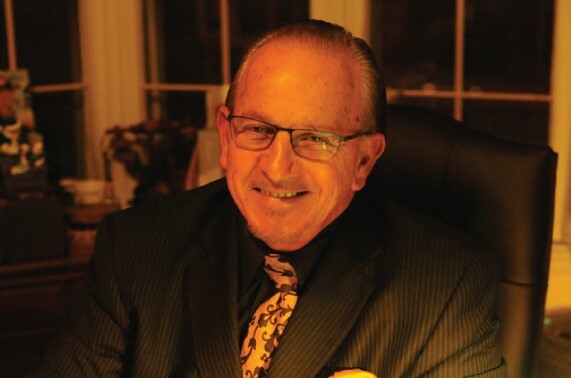 Starting from the humblest of office spaces (my parent’s basement) in 1999, Ray Saccaro started West Star Capital and has seen its growth to a top tiered national lender. As a result, we have initiated loan facilities to some of the most preeminent business owners in their respective industries. Our mandate has been to make the borrowing process seamless, while providing a customized loan platform to fit the needs of our individual borrower. We pride ourselves in being your business partner and your finance arm, hopefully for another twenty years (at least). We thought our blog would be a great place to outline what you can expect from our processes and procedures and explain why we may be asking for these materials. 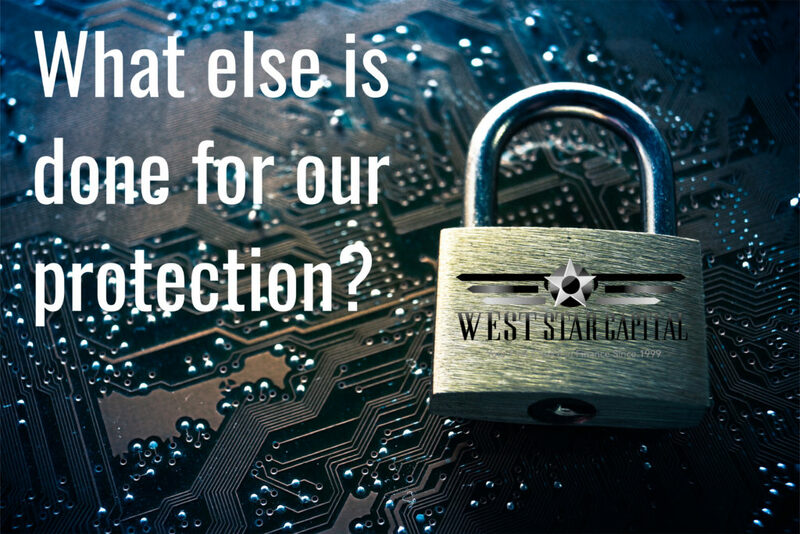 Since 1999, a lot has changed in the cyber world, that’s why West Star Capital’s documentation is kept under very high security. It is very important to us that your private information is kept as secure as possible. We implement a premium echelon cyber security process to keep all your information protected at all times. For documents that are physically in our office, our safety protocols ensure that any physical documents are securely filed or shredded if not used within a certain time-frame. West Star Capital does not share your private information with any other parties other than our banking partners who will be providing the loan with West Star Capital. This document outlines who the borrower is, the term, the payment amount, if any loan payments were made in advance, who the vendors are (if more than one, they will be listed on a separate pay proceeds document) and the date the documents were received in house, etc. 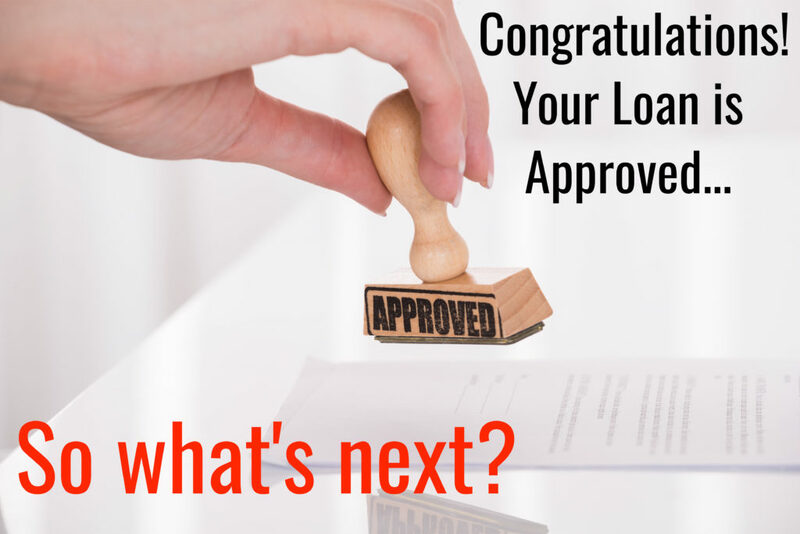 This document lists the vendors and the equipment on each transaction and is the same listing that is used when we file our UCC Filing when the loan is closed. This document is always signed by both parties. This document provides a listing of which vendor is to be paid and how much they are to be paid. We ask that our clients sign this document to confirm who is to be paid on the loan and that the loan amount matches the various invoices that are provided. It is important to note that vendors CANNOT be paid in full without the borrower’s permission to do so, a final invoice from the vendor and the entire loan cannot be paid without a thorough equipment inspection with photos to confirm the equipment is on site and in working order. I cannot tell you how often I get this question asked. I completely understand as our customer base consists of very busy captains of industry. The answer to this is almost always yes! The reason for all of these documents and policies is actually for your own protection! Prior to the final funding of your loan, we order an inspection of the equipment being financed using an inspection company. This is not only protecting the equipment in the UCC filing, but to also confirm that you are not paying for any equipment that wasn’t delivered or isn’t working properly. This is always why we always check with the borrower prior to any vendors being paid. All of our banking partners call the borrower and confirm all of the loan particulars prior to your loan funding to confirm who is to be paid, how much, the term, the payment amount, etc. West Star Capital uses a ShareFile portal to send your loan documentation to you to protect your salient data. You can also use this portal to send us your information if you choose to. Just click here to use our ShareFile portal. West Star Capital has a secure cloud where all documents and e-mails are written and is completely impenetrable using the cyber security company, Cyber Brigade. We hope this clarifies some of the process for you. Feel free to comment if you have any other questions about how this process works or email me – lauren@weststarcapital.com – and I’d be happy to discuss this further with you! Expanding your Business in 2019?? Give us a call!! We’d love to assist you in expanding your business and do what we do best! 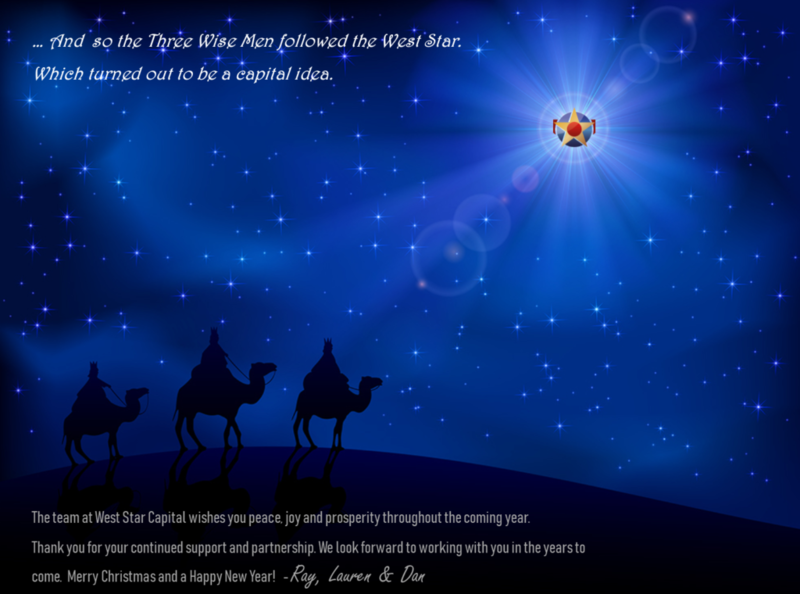 Happy Holidays from West Star Capital! Get to know the West Star Team! How did you get into the Finance Industry? In college I started working part-time repossessing televisions, washing machines and furniture, for General Electric Credit. After I completed college, they offered me a position as a Management Trainee, with a fast track to management. After five years, I became their top tiered Sales Manager with a territory covering Nassau, Suffolk and Queens Counties in New York. One of the advantages of General Electric Credit is that they had an intense credit training program which has paid dividends for me throughout my career in Banking and Finance. They also, made all trainees start in collections so you could learn the consequences of a poor loan decision. What was your most satisfying position in Banking? I enjoyed my eleven-year career with Barclays Bank of New York. 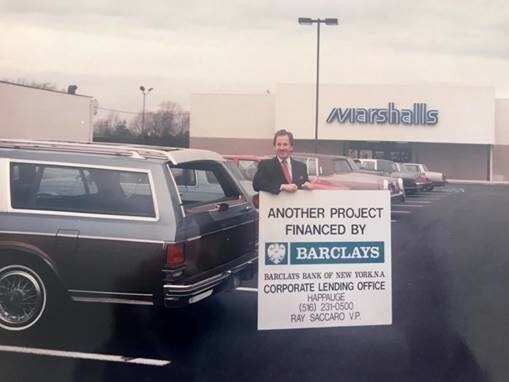 During my tenure with Barclays, I ran the largest self-generated portfolio in the Bank ($350,000,000) and rose to a Senior Management level, where I coordinated the Bank’s sales teams for Nassau and Suffolk and Queens Counties. Also, Barclays’ diversified lending platform provided me with a myriad of loan advances including, Commercial Mortgages, Lines of Credit, Term Loans and Branch Banking experience. This experience provided me with the scope of knowledge necessary to run my own Business and more importantly, I was able to parlay my book of customers into my own business, West Star Capital. What was the Genesis of West Star Capital? Barclays Bank sold their lending portfolio and laid off 95% of the staff, including executive Management. I realized how vulnerable individuals are to the whims of Corporate America and started West Star Capital in 1999 from my basement. During the next few years the business grew exponentially, to the point that I took my twenty-two-year-old daughter, Lauren, as a full-time employee. Together we built West Star Capital into a National Finance company. Today Lauren Bradley is a 50% owner and a vital cog in our business. She was the HLIA women of the year and is an active member in raising monies for the Leukemia & Lymphoma Society and their team in training. How did you come up with the name West Star Capital? Answer: The name West Star came from the iconic television show Dallas, where Ewing Oil’s top Competitor was West Star Oil. I always loved the name West Star and knew if I ever started my own business it would be West Star… something, [laughs]. How has your role changed from your days in Banking? The change has been exciting, as my lending is not restricted to New York as it was in banking. As a result, we are lending to a broader base of business, which include some of the most recognized franchises in the nation, including: Planet Fitness, IHOP, Crunch, Taco Bell, Smoothie King, Jersey Mikes, etc. Also, as a true “boutique shop” we have been able to forge individual relationships with the top-tiered franchisees lending them multiple million-dollar loans for their numerous locations. Also, our loan initiatives cover a bevy of lending including loans for equipment, improvements, commercial mortgages. 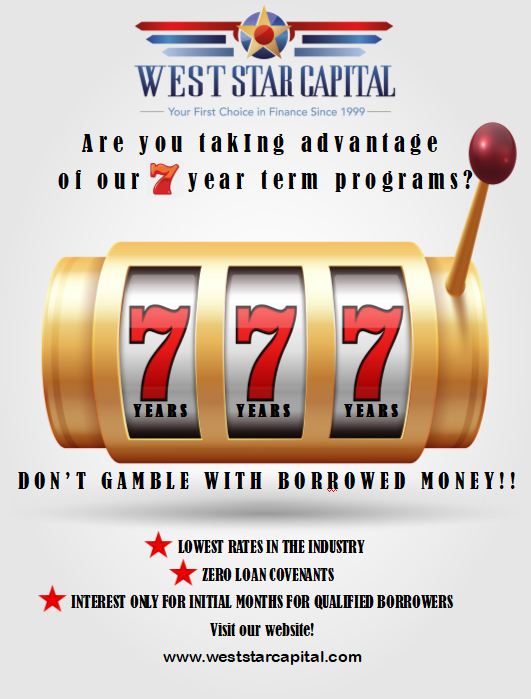 West Star Capital also, has access to monies that allow us to lend at rates competitive with our Banking counterparts. How does a Company Like West Star compete with some of the largest Banks in the nation? That’s a really good question, as a rule we are more responsive and render a faster credit approval than our banking contemporaries. In fact, often we will close loans that we are competing on with a bank and our customer’s will advise us that two months later, the bank was still requesting additional information. They had to point out that they were two payments or more into their loan facility with West Star Capital and thanks for nothing. What is the long-term outlook for West Star? We have been in business for over twenty years and with a book of recurring business from satisfied customers, we are an entity that will be around for many years to come. Also we have a relatively young core of upper management: Lauren Bradley handles the interface with the customer base for both documentation, sales and the credit function. Our National Sales Manager, Daniel Ahearn, is an aggressive and responsive part of our business development efforts. At West Star Capital, we take a lot of pride in what we do. We are customer service driven, we are blessed to work with some of the best people in their respective industries and we are approaching our 20th year in business. 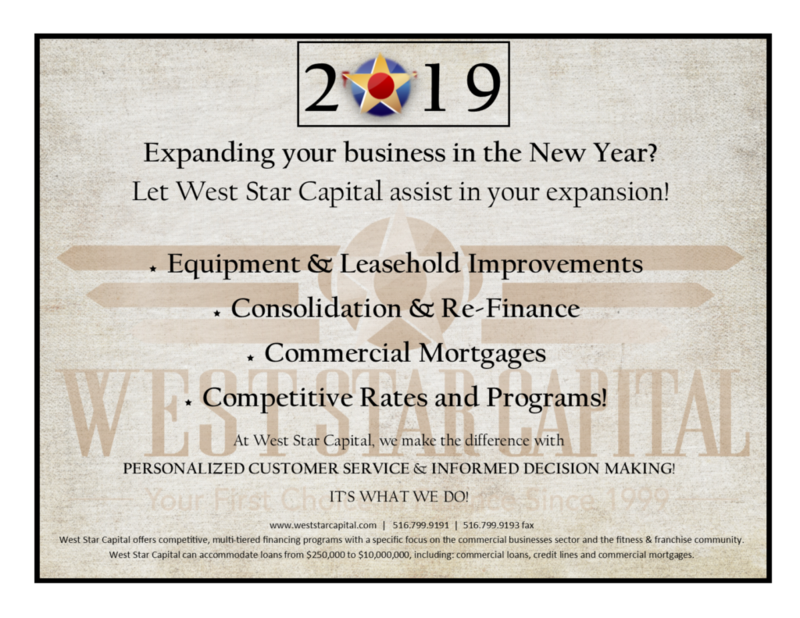 One part of doing business with West Star Capital – is that our loans do not have any loan covenants, and this is extremely important to us and to YOU, our customer. At West Star Capital, we take a lot of pride into what we do. We are customer service driven, we are blessed to work with some of the best people in their respective industries and we are approaching our 20th year in business. 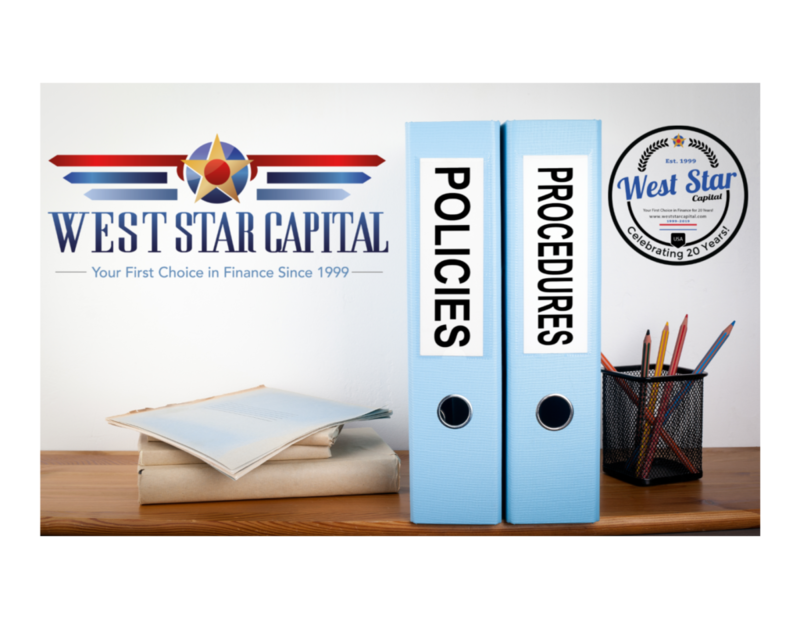 One part of doing business with West Star Capital – is that our loans do not have any loan covenants, and this is extremely important to us and to YOU, our customer. Require Maintenance of: Cash Flow Coverage, Working Capital, Minimum Net Worth of the Company, Limit on Capital Expenditures and Taking on Additional Debt! Breaking any of the above could result in a default of your loan and place you and your business in a precarious position. 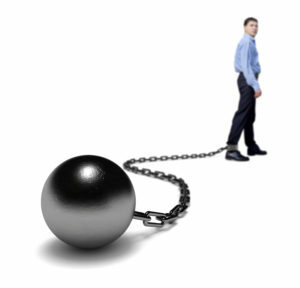 DON’T HAVE A BALL AND CHAIN STRAPPED TO YOUR BUSINESS. LET WEST STAR CAPITAL SET YOU FREE! The End of the Year is Approaching! 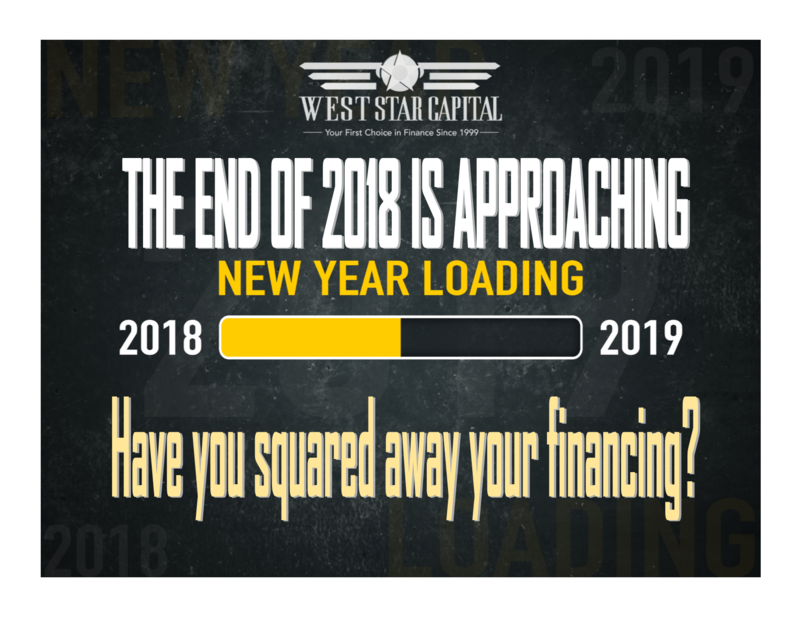 Have You Squared Away Your Financing for 2018?? If you are looking for funding towards the end of the year for one of your projects, start the process now! Year end is one of banking’s busiest time of the year! Waiting till the beginning or mid-December to request an approval and fund a transaction prior to 12.31.2018, no matter the size, is equivalent to giving your accountant your tax paperwork on April 14th. Think of this as your friendly reminder! This is a fantastic time of the year to start re-assessing your goals and look into any future projects you may still have lined up. If there are any future endeavors for 2018, try and give us a call, so we can shepherd your loan/transaction swiftly before the close of 2018. Watch a Great Business in Action and Enjoy a Great Meal at the Same Time! 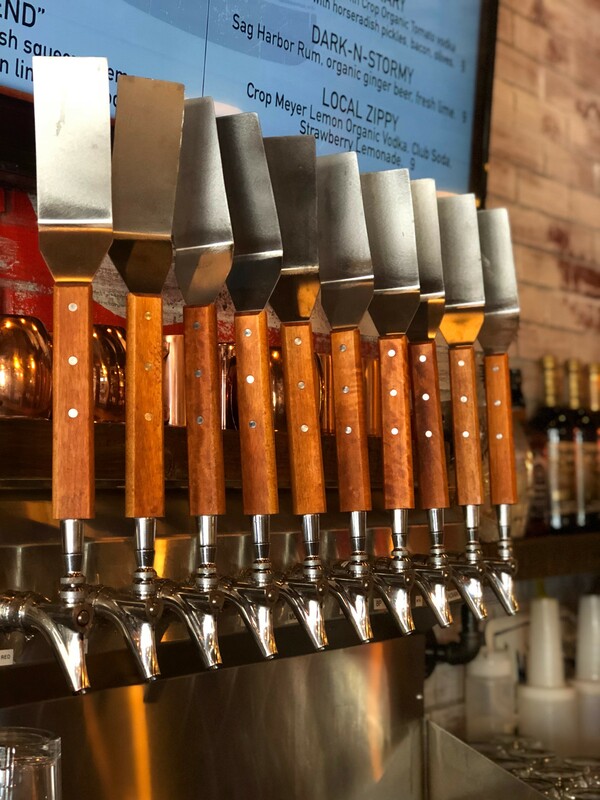 Here are some new local spots we have had the pleasure of working with!! 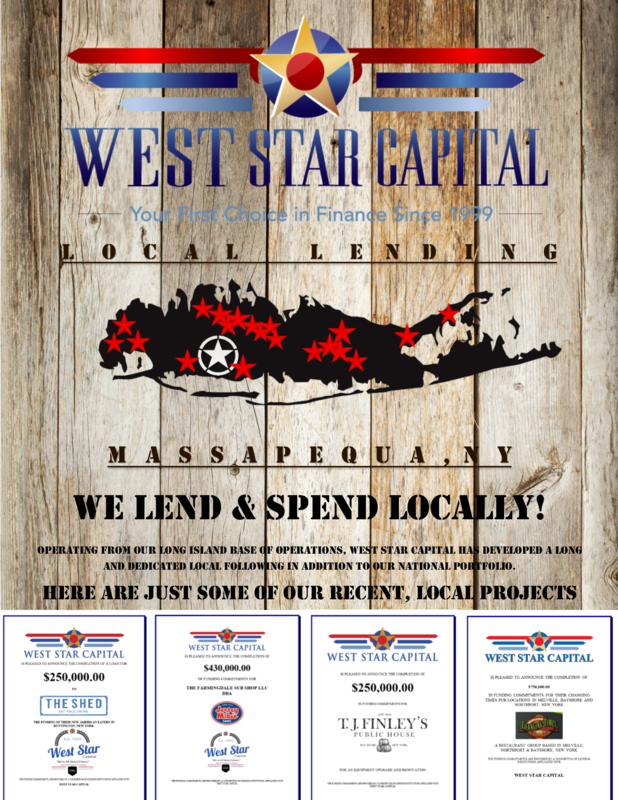 West Star Capital is so proud to be working with some fantastic local businesses here on Long Island. It is one thing to be part of a customer’s growth and expansion, but to have the opportunity to see it happen before our eyes is truly exciting! If there is one thing about what we do at West Star Capital that I love, it’s that we get to meet people who love what they do for a living. These businesses are their babies, and you can see the thought, love and care that is put into their businesses in the décor, the quality of the food and the happiness and attentiveness of their staff. These local businesses are innovative and great at what they do! Take a look below and consider visiting them yourself! The Shed is located in Huntington, Long Island. It opened fairly recently and it hasn’t taken long for the buzz to get around on this great establishment! The Shed is not your average restaurant. They serve Brunch, Lunch and Dinner and everything they serve is made from scratch! What I happen to find extremely enjoyable is this is a great spot that can accommodate anyone in your party. 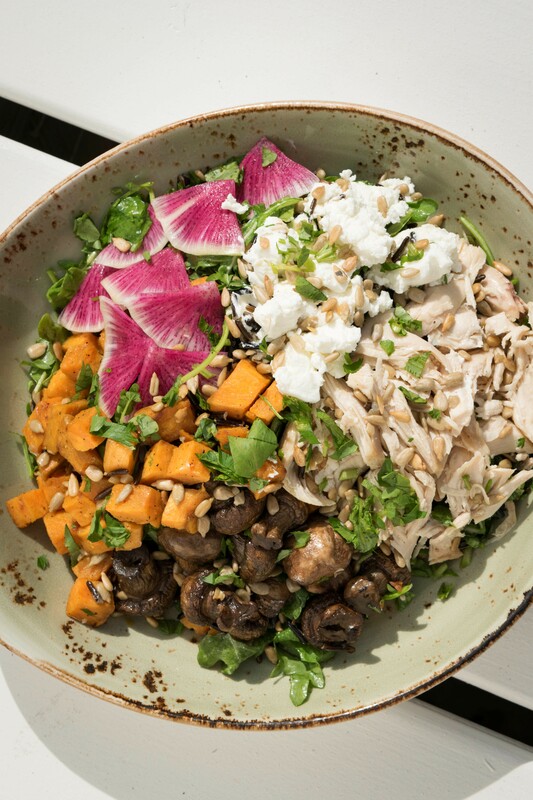 You can order delicious and fresh salads and bowls if you’re trying to stay light or if you’re feeling indulgent you can get an AMAZING burger! Of course we’ve sampled the delicious fare at this beautifully decorated day and nighttime spot, and the food is absolutely spot on. The Burrata Toast is a delicious and light appetizer, the burger is perfectly seasoned using top quality meat and cooked to perfection and their bowls are not only healthy and a great Gluten Free option, but they’re delectably satisfying to your palate, too! And don’t forget to order one of their hand crafted cocktails – they’re absolutely delightful! The Shed is located at 54 New Street, Huntington, NY. You can visit their website intheshed.com where you can place an order online or view their menus. They also have a very strong Social Media following! 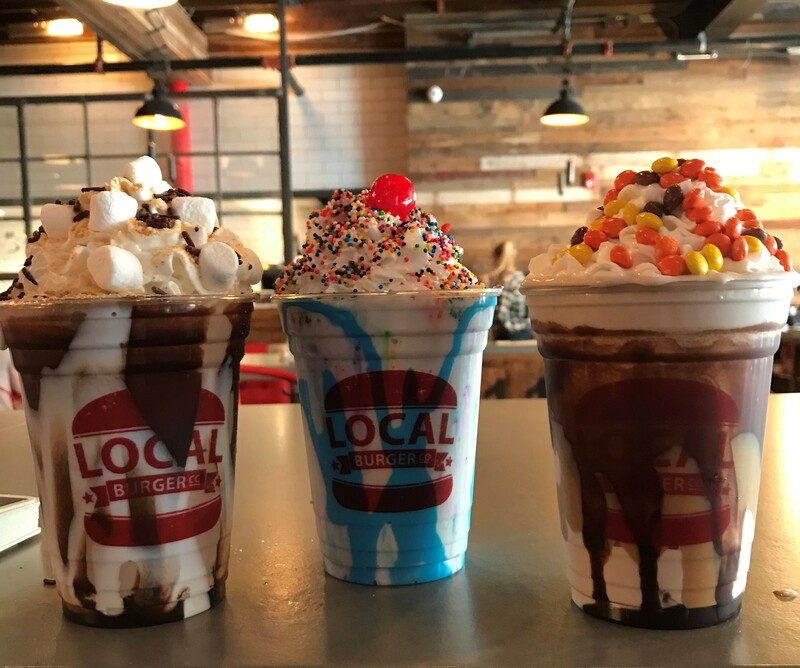 Local Burger Co., has taken “old school” principles and reinvented them for 2018! 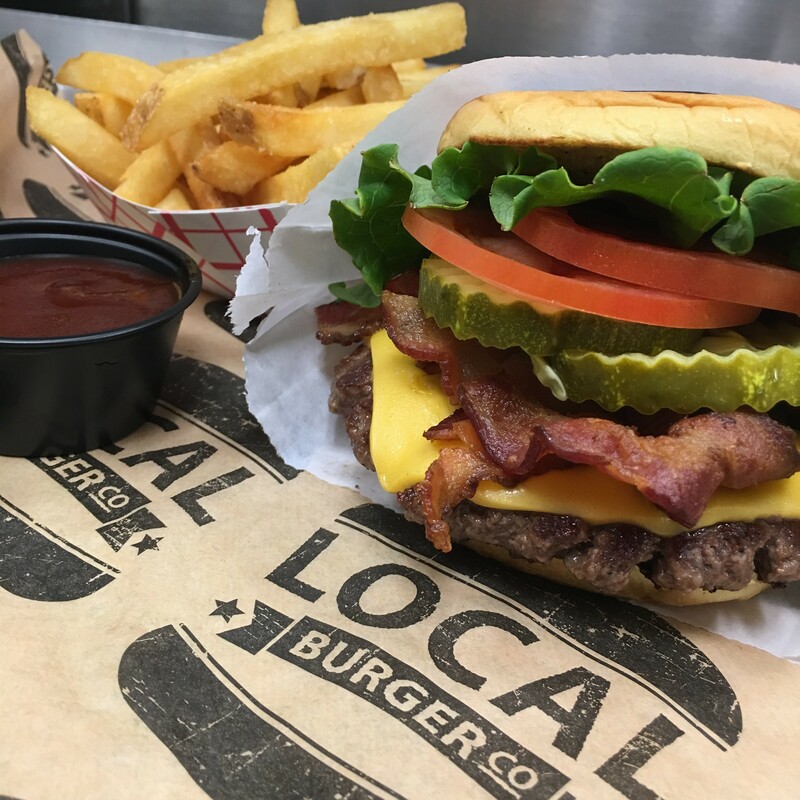 Local Burger’s mandate is to source local vendors for all of their foods and drinks, so that what you’re eating is not only delicious and fresh, but is supporting our local economy and local businesses. It is a beautiful synergy that comes together deliciously for its customer base. Remember when all the food you ate at a restaurant came from a local purveyor? Yeah, me neither! Their menu has burgers (of course), hotdogs, BBQ, local wines, local beers, milkshakes, and it doesn’t stop there, there is a huge array of cocktails you can sample, too! Definitely a spot that can satisfy a palate at any age! 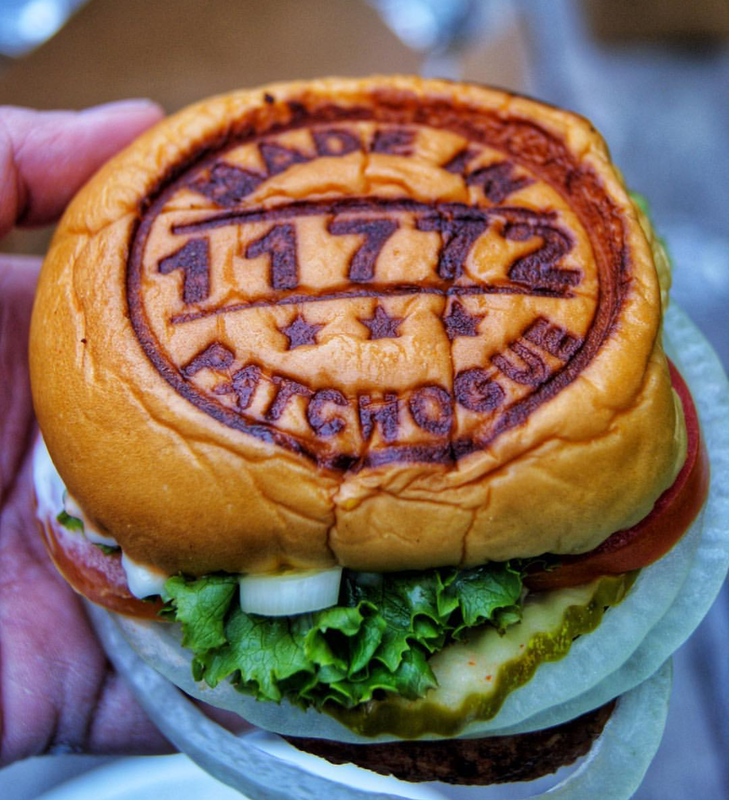 The Local Burger Co. in Patchogue is located at 76 W Main Street in Patchogue. You can find them online at www.localburgerco.com where you can order online and even get a listing of all the local suppliers they utilize. 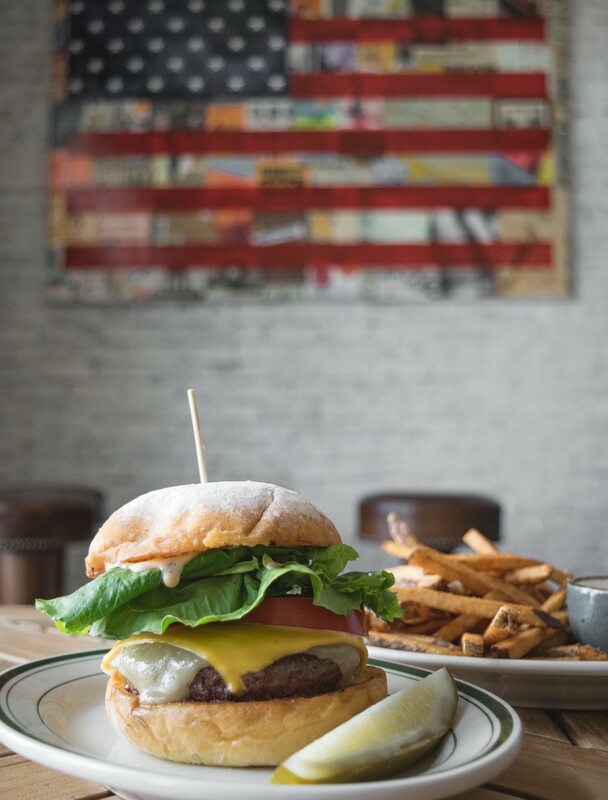 I would like to take this moment out to thank The Shed and The Local Burger for giving West Star Capital the opportunity to work with operators , who love what they do and create a great atmosphere for fellow Long Islanders through décor, fresh & delicious food and wonderful experience! Are you taking advantage of our 7 Year Term Programs?? Give us a call or shoot me an e-mail: LAUREN@weststarcapital.com and I can go over all we have to offer! Under most circumstances our customers used to go the 5 year route. Now, that is changing – having the option to go seven years is a convenient and easy way to improve cash flow due to the reduced monthly payment from the longer term, especially for the new locations in your group. This mostly works well for our Multi Unit Franchisees, Hospitality and Fitness Industry clientele.